4 3/4" netting designed to withstand heavy use and last for years. Available for next day delivery in two heights and in a choice of per foot or per metre. Custom Size Ball Stop Netting For When Shooting Boots Go Missing! Protect property sustaining damage from errant shots or contain balls within certains means at stadiums, training grounds & leisure centres for quick recovery. Remarkably strong & weatherproof, the 2.55mm twisted twine & 120mm sq. mesh intercept any football/soccer ball from flying away after a loose shot. 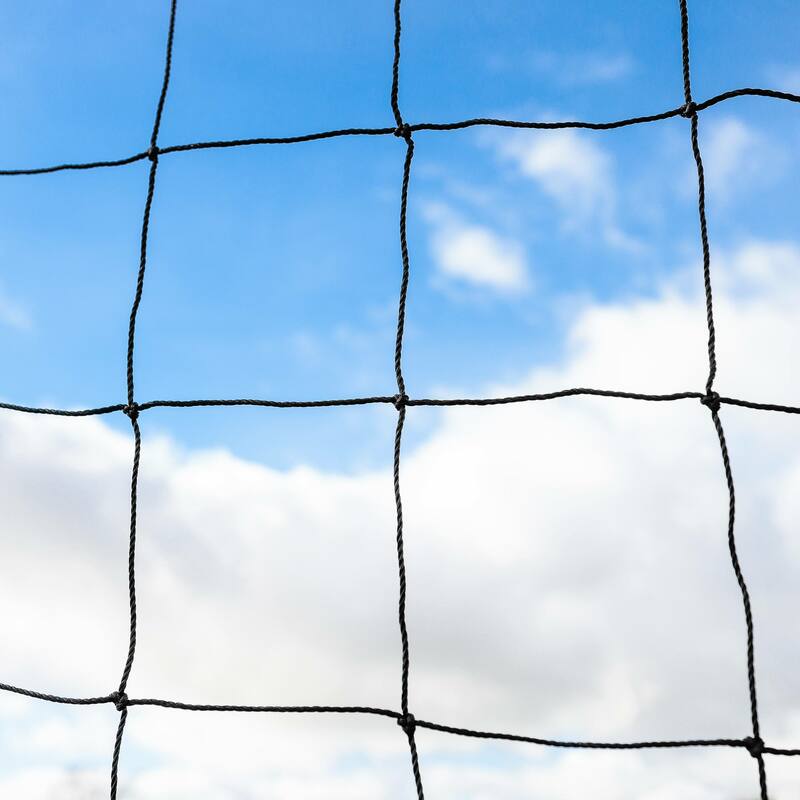 Our Football Perimeter Netting is available in a range of colours & custom heights & lengths in order to fulfil your desired measurements & space. 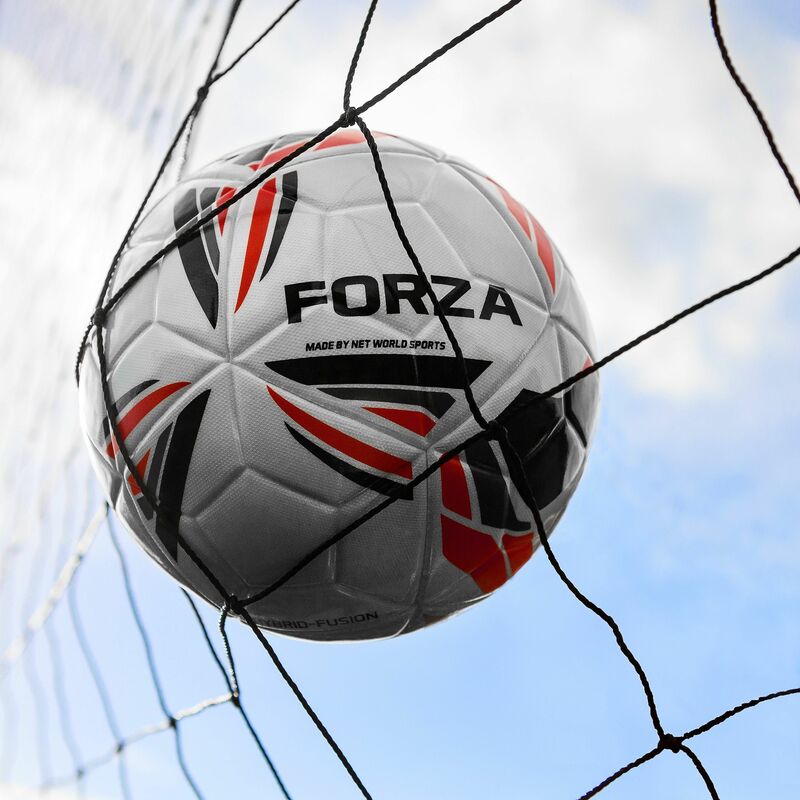 This heavy duty ball stop netting can be used at soccer stadiums or training grounds and will ensure soccer balls are contained within a desired area – with these nets balls won’t be able to escape to where they shouldn’t! 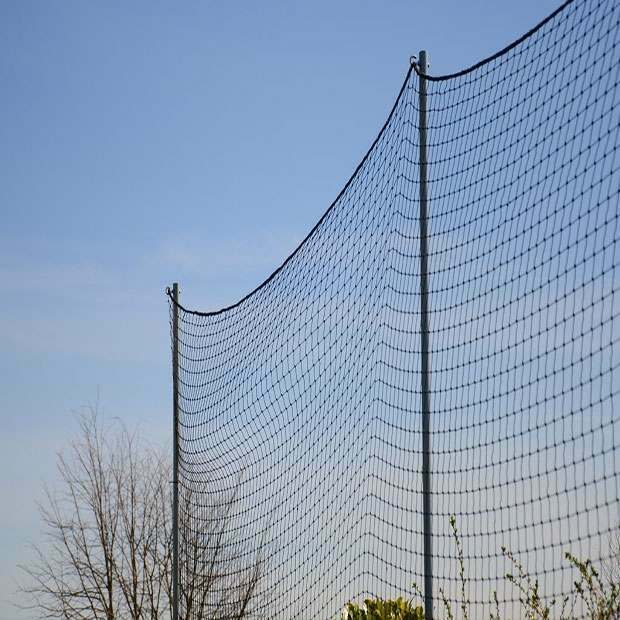 Made from weatherproof and extremely durable 1/8" thick twisted twine and with a 4 3/4" square mesh that will prevent any soccer ball, basketball or volleyball from getting through, these nets are available in two different heights, plus a choice of length per linear metre or linear foot. How Do I Order My Perimeter Netting? Please Note: Minimum order values & lengths will be displayed once your desired custom length is entered into the 'Length' text box. Excellent item. Used in our back garden and home to stop balls going in to the neighbours garden. Perfect for this use. We are happy with it and so are our neighbours. Fast delivery and an excellent product just what we needed. Hi Scott, Thank you for the question. The 120mm would definitely be suitable, this is designed to stop footballs, basketballs and volleyballs and so any ball of this size would be suited to that netting, You can alternatively choose the 48mm, this is designed to stop for a little extra protection however both would be good options. I hope this information helps. Many thanks, Ryan.